Understanding drug addiction can help you have a better chance at recovery. Drug addiction is a serious condition that can result in negative effects on the individual using the drugs as well as those around the individual. Some people may use drugs occasionally without ever becoming addicted while others may only use a drug once or a couple of times and quickly realize that they just can’t say, “no.” For those who suffer from substance abuse problems, the result is often problems with work, school, family, social situations, and the law. You feel helpless, isolated, alone and ashamed, but the truth is, there is help for drug addiction. If you believe that you or someone you love is addicted to drugs, it’s important that you know you are not alone in your struggles. There are people and places that can help you or your loved one to get well. Understanding how drug addiction works, what drug addiction is and what the symptoms of drug addiction are will help you in your efforts to get the help you need for a full recovery. Not everyone who uses drugs will become addicted but for many people, the long term use of drugs results in a tolerance that builds and ultimately ends in addiction. Drug addiction is a dangerous condition that can result in extreme physical and psychological consequences including mental illness, disease, adverse health conditions and even death. By understanding exactly what drug addiction is and how it begins, individuals and their families can better be prepared to recognize signs and symptoms of drug addiction in the early stages providing a better chance for recovery. Certain factors may increase an individual’s risk of becoming addicted to drugs. For those who have a family history of drug or alcohol addiction, people with mental illness and people who start using drugs at an early age the risk of becoming addicted to drugs is much greater. 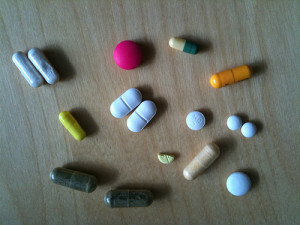 Even still, drug abuse affects each individual in a different way, causing addiction in some people and not in others. Learn more about drug addiction here. Various types of counseling, therapy and medication can be used to treat drug addiction effectively. If you think that you or someone you love is addicted to drugs, the best way to ensure that you are getting the best drug addiction treatment is to have a complete understanding of the treatment process prior to entering any substance abuse program. Each drug addiction treatment program is different but most use a combination of treatment modalities that focus on first treating any physical dependence and then treating psychological dependence. Learn more about drug addiction treatment here. The symptoms of drug addiction may or may not be easy to recognize. Many of the physical symptoms of drug addiction begin to present themselves after the very first use of a drug while others may take a bit longer to become prevalent. Regardless of how long it takes for physical symptoms of drug addiction to show, the end result is the same; The addict has difficulty stopping the use of drugs because he or she is physically dependent on the drugs. There are also many psychological symptoms of drug addiction. Many addicts refrain from spending time with their friends or loved ones, have anxiety or depression or suffer from other psychological conditions associated with drug addiction. If you believe that you or someone you love is addicted to drugs it’s important to seek help immediately. The symptoms of drug addiction only get worse as time goes on. Learn about the physical and psychological symptoms of drug addiction here.